To use the Vehicle Hitch Finder, start by selecting your vehicle's year. Then, make a selection in each of the remaining drop down boxes. If your vehicle does not have any special Style or Options, choose the blank option in the last drop-down box. When all selections have been made, click on the FIND button. Enter your vehicle year, make, model, and style or options, and we’ll find the perfect hitch for you! We have hitches and hitch accessories for many of the most popular vehicles including Chevy, Ford, Toyota, Volvo, Dodge, Jeep, GMC, Chrysler, and more. We are committed to quality parts and great customer service. If you can’t find the part you’re looking for, let us know and we can special-order it for you. If you find a better price somewhere else, tell us and we’ll match it. We make sure you get the right hitch for your vehicle. A quality ball mount is essential for towing safety and peak performance. That’s why we stock ball mounts from manufacturers like Draw-Tite, Reese, Tie Down Engineering, Pro Series, and more. 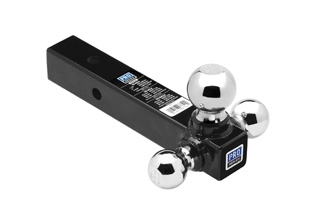 We carry ball mounts in a wide variety of drops and rises, towing capacities, and prices. 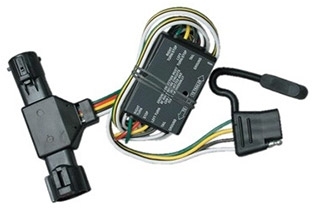 We carry wiring, adapters, and connectors to meet all your hitch needs. Wiring is available in 2-way, 4-way, and 5-way in several different lengths. Our selection of connectors are designed to withstand corrosion and weather damage. We are proud to carry brands such as the Expediter, VanGuard, Pollak, Tow Ready, Cequent, and Wesbar. Before you start hauling, make sure you have a secure hitch pin. We offer hitch pins in many sizes and materials from respected brands like Buyers Products, Draw Tite, and Load Rite Trailers. 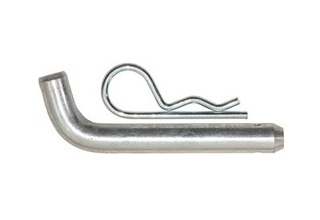 Whether you need a snapper pin, a pin and clip, a clevis pin, or silent pin, we’ve got you covered.